When are you writing your OWN cookbook? Thank you so much! I wish I had a cookbook in me, but I just steal everyone else's ideas! What a gorgeous dinner option! Perfect for a dinner party! Wow! 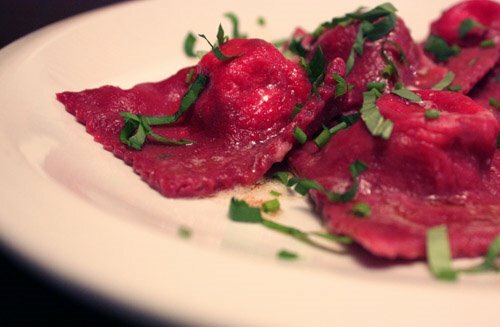 What a wonderful punch of color the beets provide to the ravioli. This looks delicious. How much flour/many eggs should I use when trying this recipe? How many beets for that matter? *Note: I ended up adding quite a bit more flour, so the amount really depends on the size of beets used. how absolutely creative and gorgeous! The color is just so vibrant. 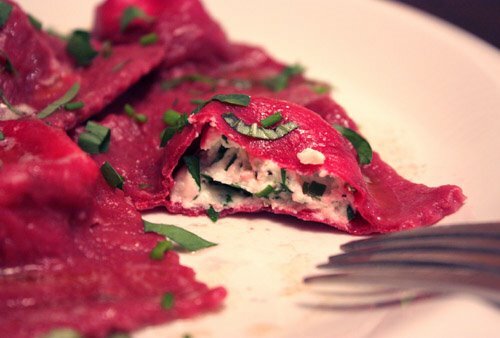 I don't like beets but this beet ravioli is gorgeous! What a great dinner idea. Very, Very Cool. 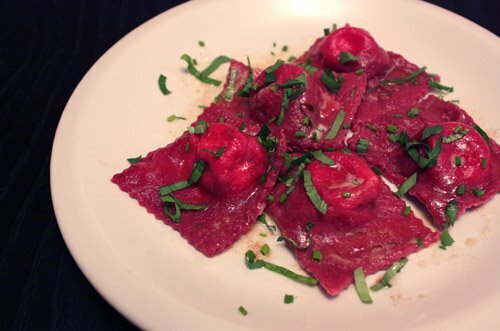 I made ravioli from scratch last year, took us forever, but the results were so worth it. Love, love the pictures! These look absolutely incredible. I've never made pasta, but am working up to it. Gorgeous. 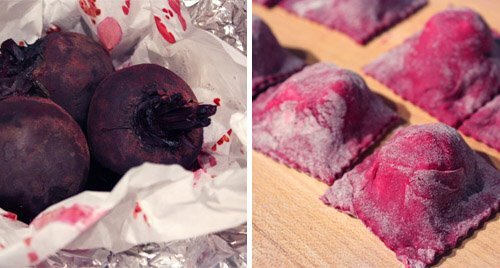 Hey I made this beet pasta as well. It was a while ago but we all loved it. Your looks much more pink than mine! Love your filling.